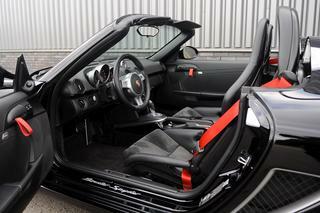 Porsche 987 Boxster Spyder in new condition. 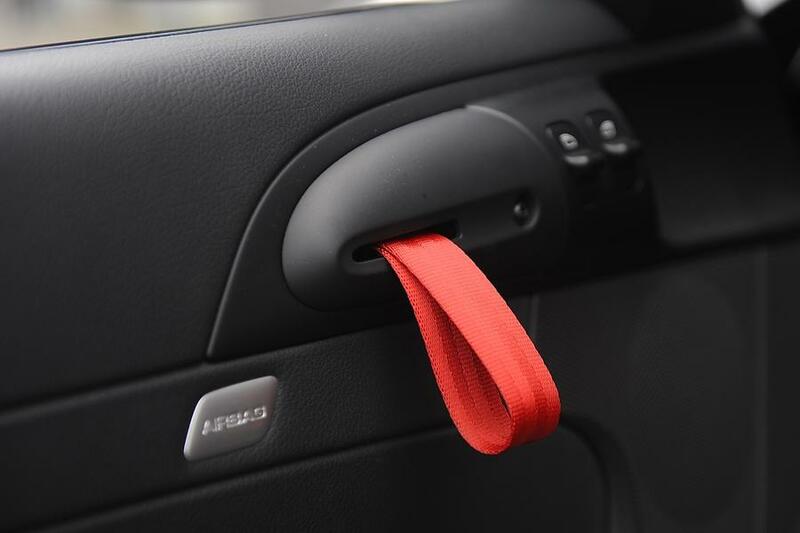 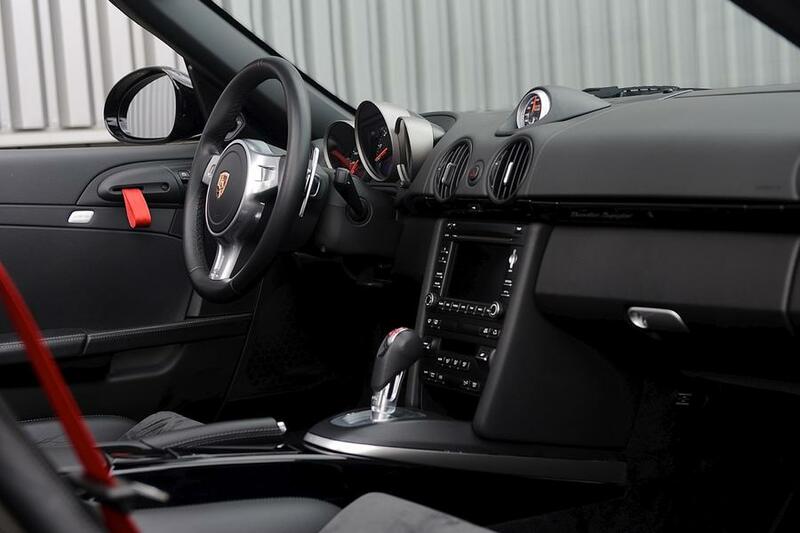 In black with black interior and red accents. 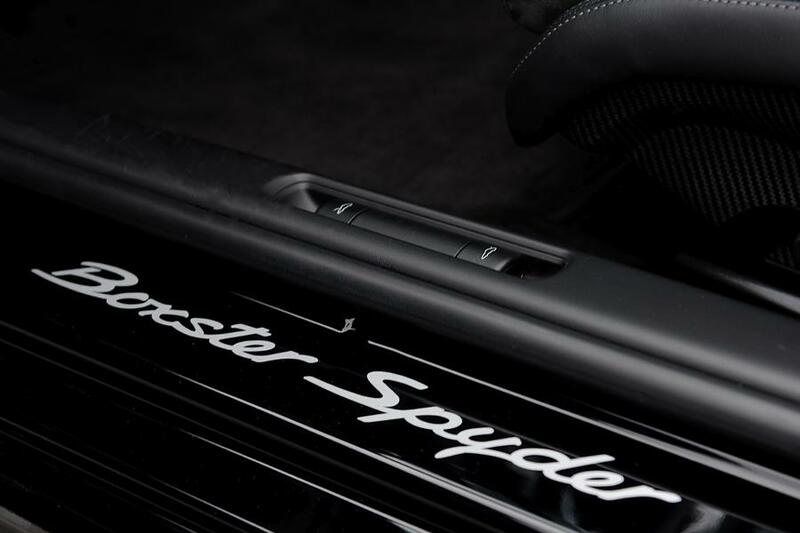 The Boxster Spyder was launched by Porsche as a limited edition of the 987 Boxster. 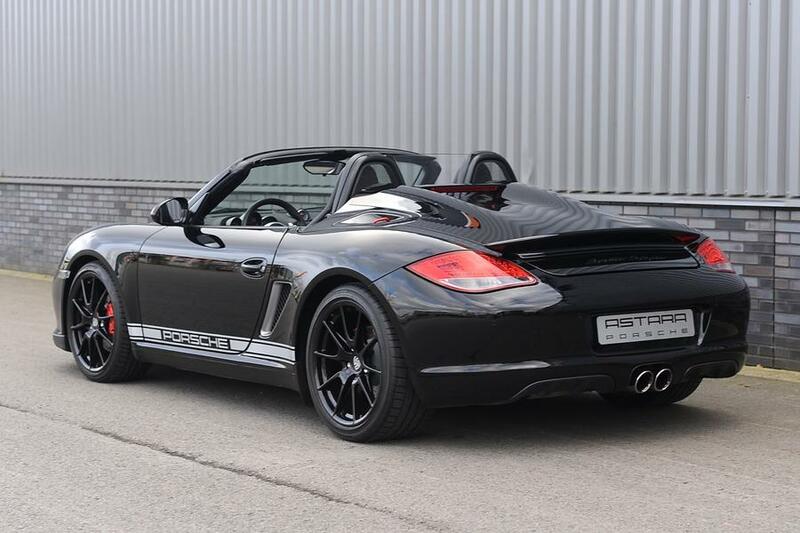 sporty Boxster not only pleasing to the eye, but especially fantastic to drive. 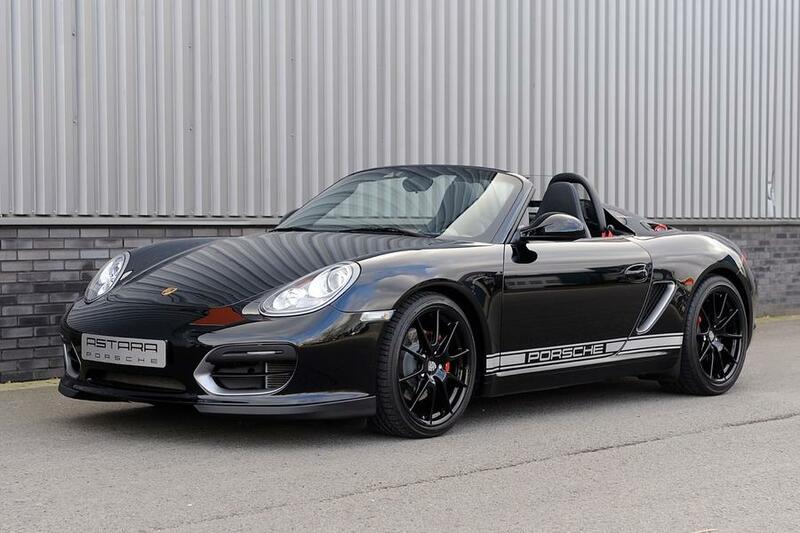 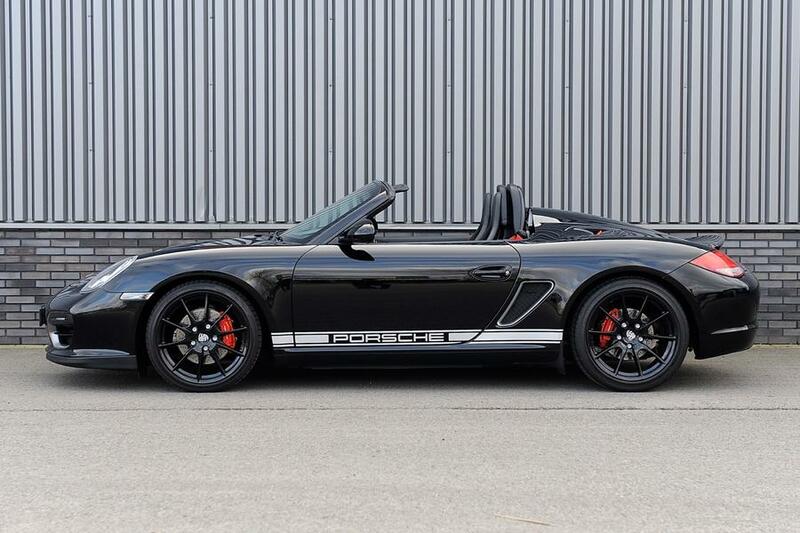 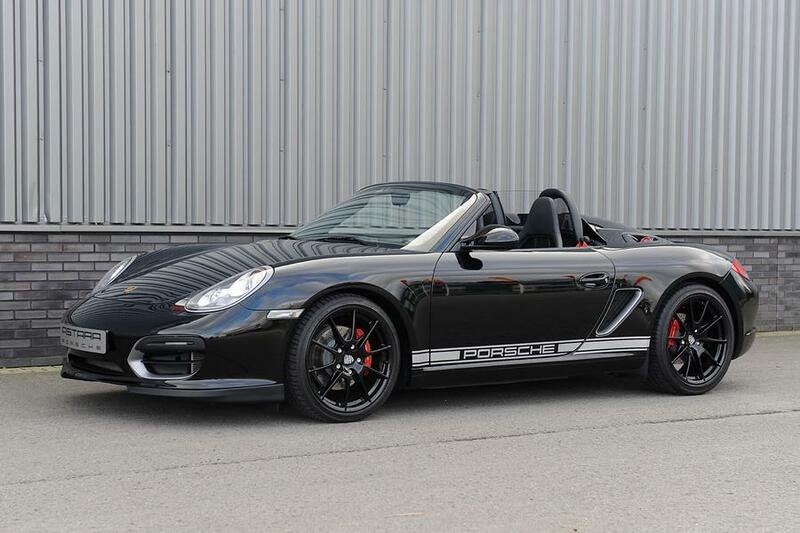 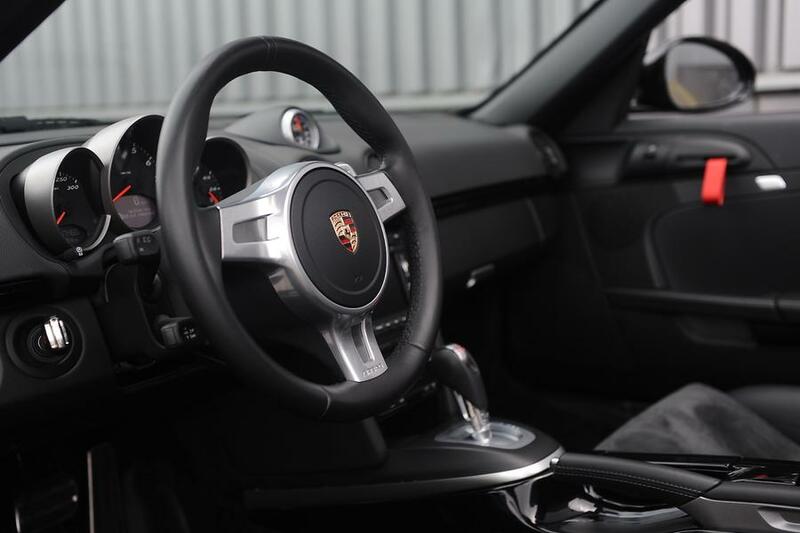 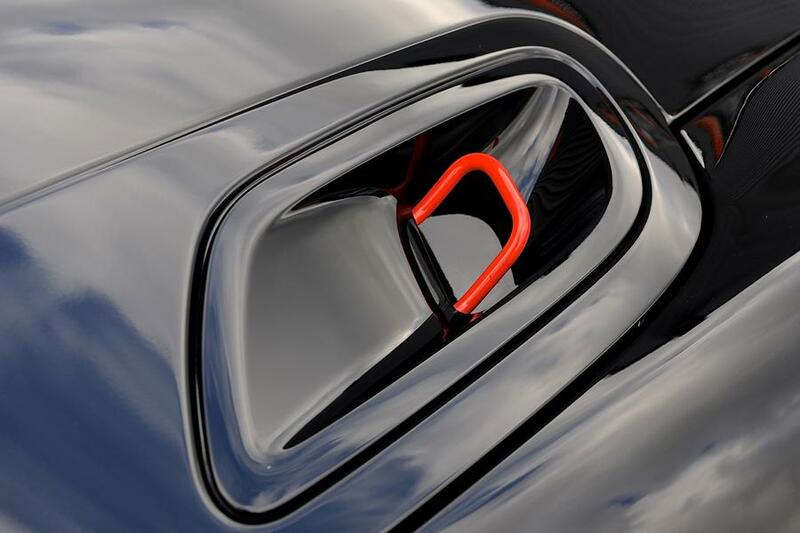 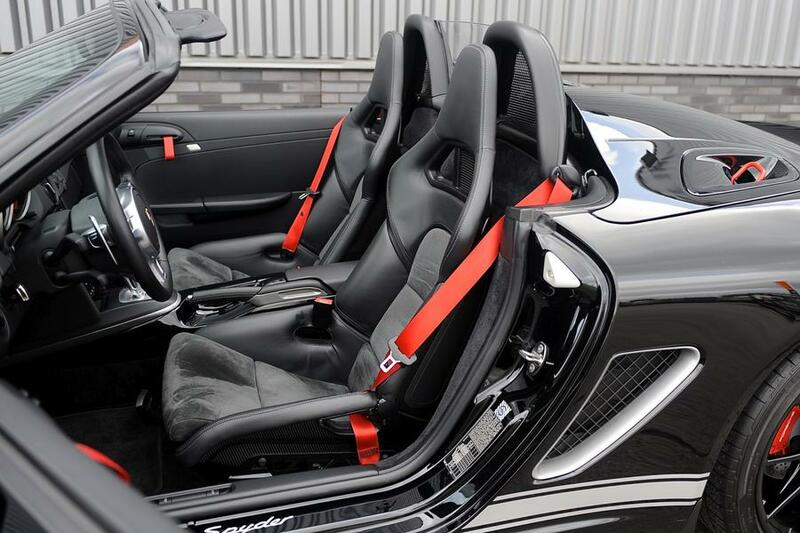 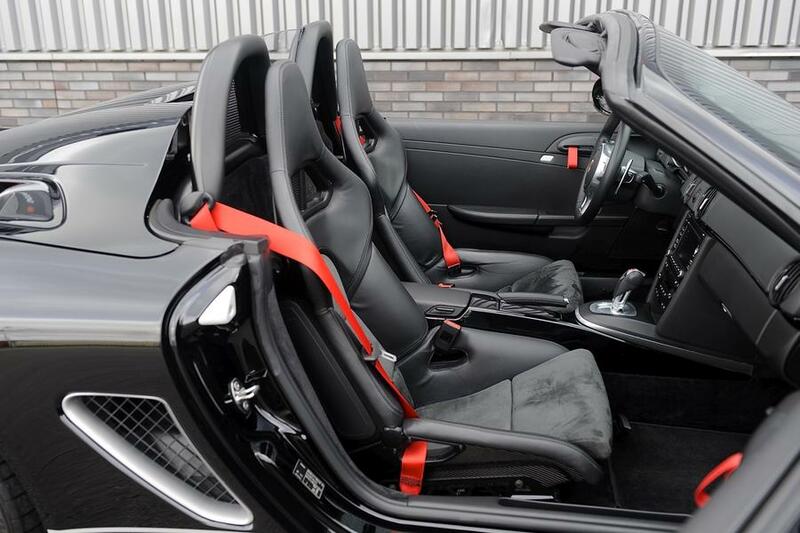 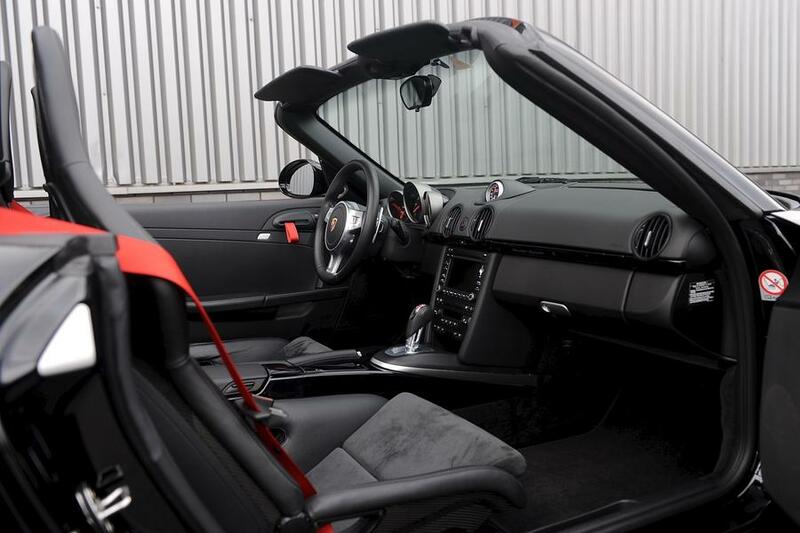 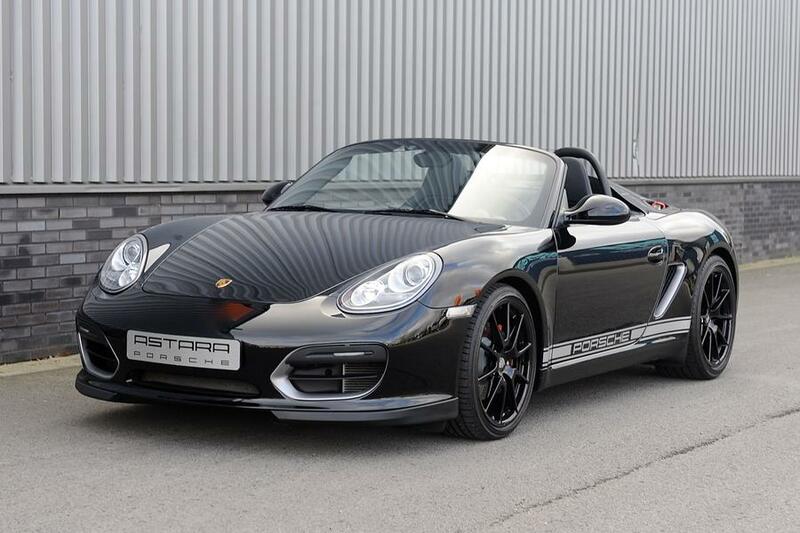 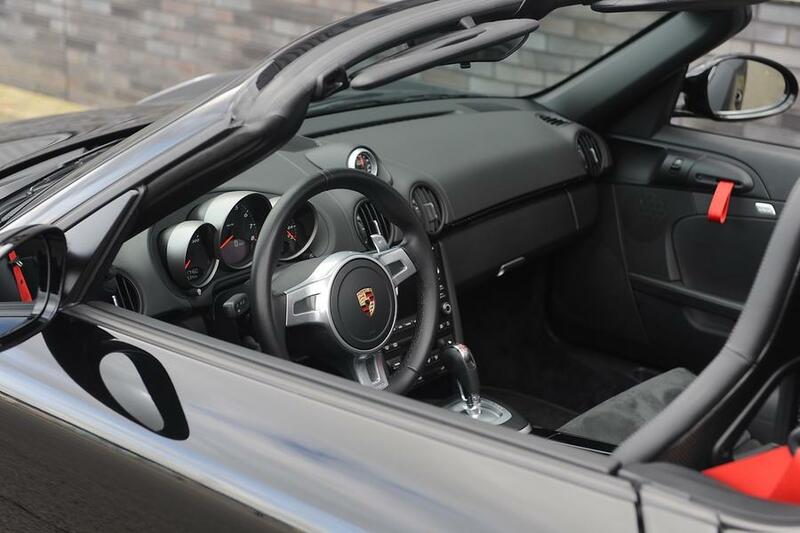 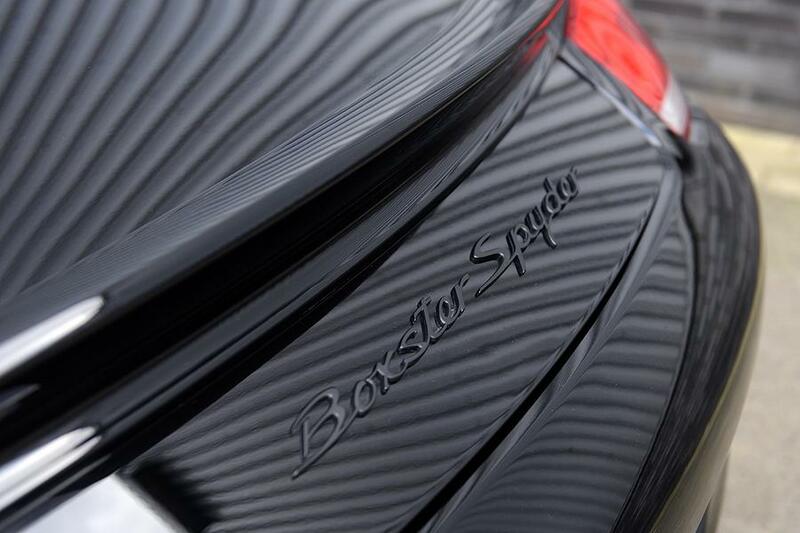 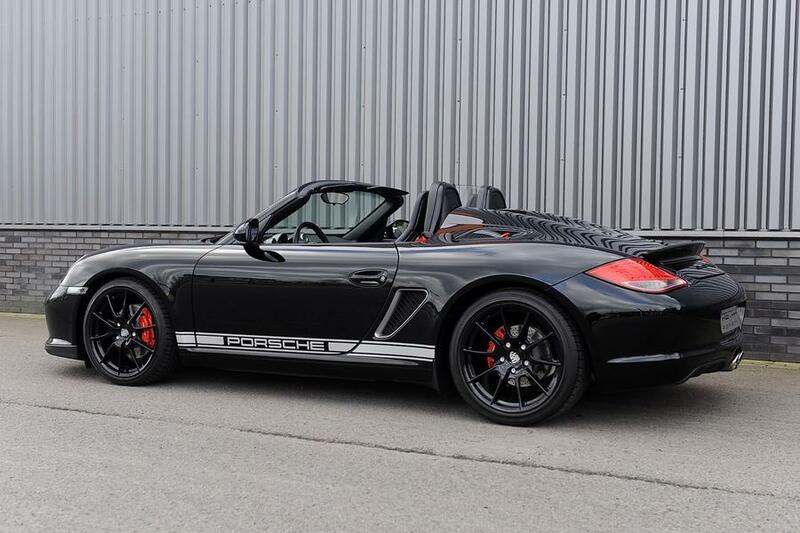 The Boxster Spyder in its black color, with PDK and the sports bucket seats make this Spyder a "one-of-a-kind." 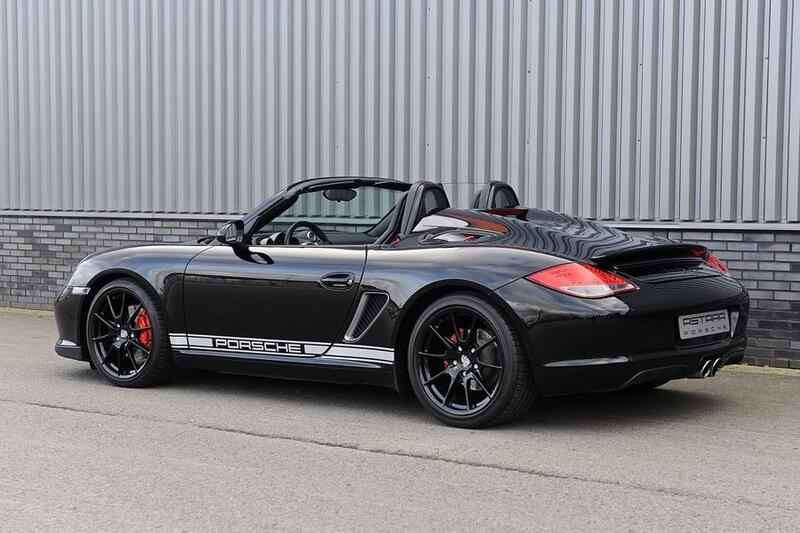 I445 Boxster Spyder wheels, 19"
I610 DVD navigation, "Europe package"